To me, this map is terrifying. 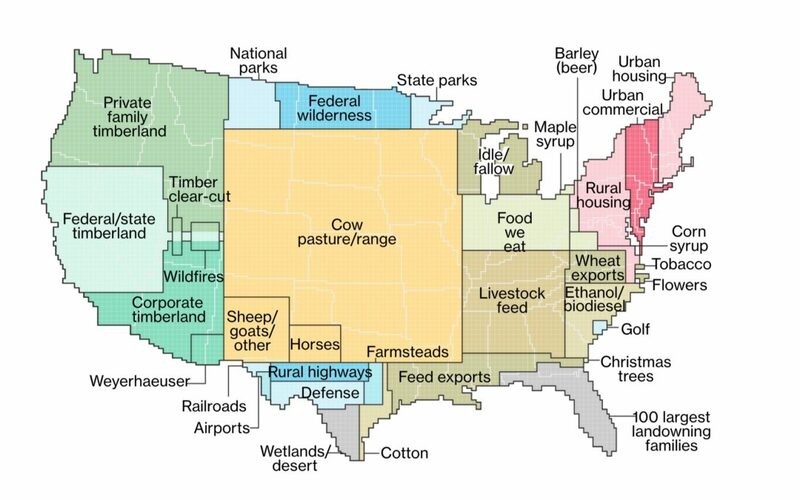 It shows the ways that land in the US is used. Notice the tiny amount of land allocated to parks, federal wilderness, wetlands and desert. In a sane and just world, those sections would be the largest. But as we know, the world is not sane, nor is it just. We are eliminating every “natural” part of our country in service to our human needs, as we balloon our population to 7.7 billion and growing, 220,000 new people on this planet every single day.